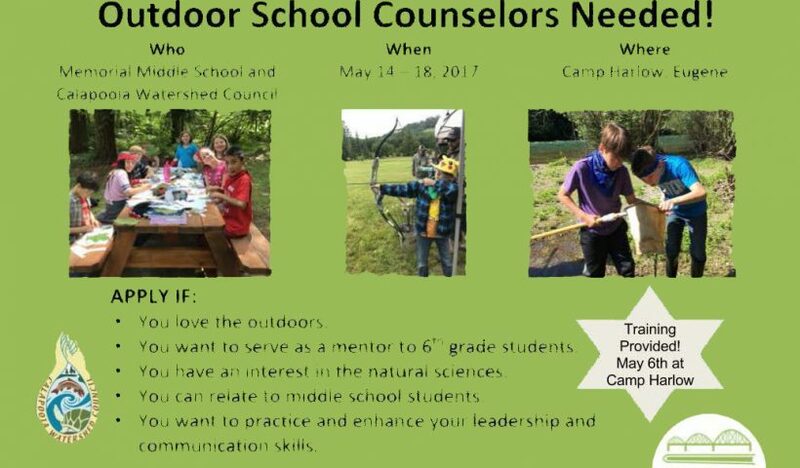 The first annual GAPS outdoor school is scheduled for this May for Memorial Middle School students. 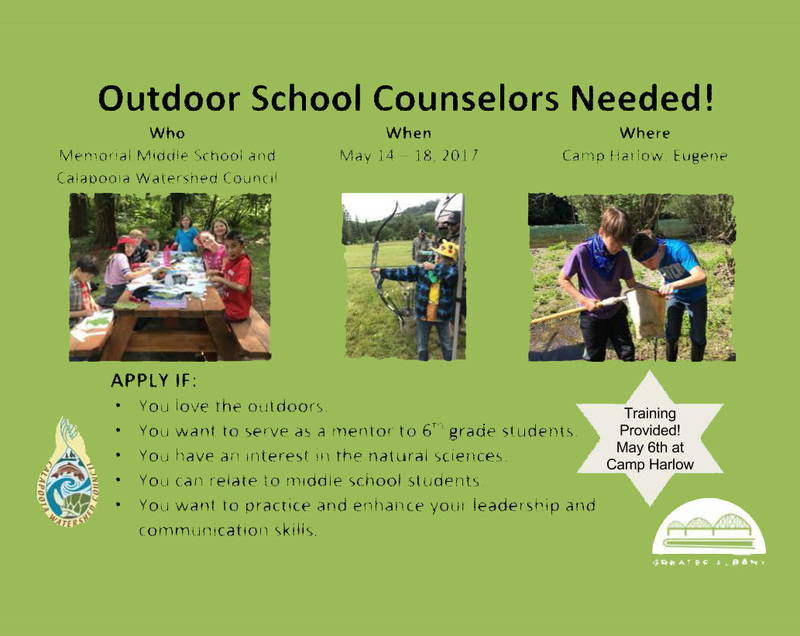 The program will include a week-long overnight camp experience developed in partnership with Calapooia Watershed Council. High school students can apply online. Applications are due by March 9 and must include a reference form from two teachers and a school counselor, due by March 16.